Almost seems redundant writing a review I made a two hour video on. But not everyone has a super fast computer to run youtube videos on, and I feel that the game’s lackluster performance warrents further observation. Especially since it’s somewhat of a trend lately. If you didn’t see the Active Critique I had yesterday, I’ll break it down for you quick and dirty; It was a game that took Stealth games into the FPS zone in the 90s, had three games before this one, and is about a Thief in a weird alternate renaissance that clashes with both medieval Europe and steampunk. You are of course a thief; more specifically an ex-rebel turned klepto who steals from the rich for his fence and with his portage’. Spoiler Alert; she doesn’t stick with you for long, and I’m pretty sure if I played all the way through, I’d have to rescue her. You and her basically spring in on a magic ritual that blasts her into oblivion and you into a coma in which you wake with “flow” vision. Basically gives you superpowers not unlike the one’s in Dishonored. You then go right back into doing jobs while unraveling the mystery behind what happened to you and your partner. If I ever play this game again, I’ll have another broadcast for it. Update on that another day. I won’t waste your time and convince you not to waste your money with my review. As always, we start with the good. I won’t lie to you folks; I had a hard time coming up with positive things to say. If you saw my video (seriously, see the video!) you probably saw this coming. By reading this, you might also see a bad review coming. Before you put Thief back on the shelf, I suggest you keep reading and hear me out on this. There is a silver lining that I was pretty oblivious to that took a small bit of research to confirm After looking up the history of the game and only watching ten minutes of someone’s documentary, two big things occurred to me. 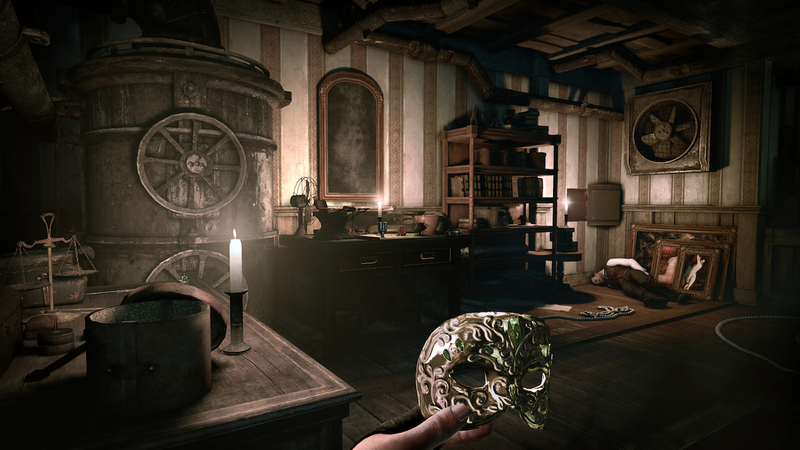 Thief, while revolutionary at the time, was not the first stealth game. Metal Gear was. Thief was published in the 90s while Metal Gear was an old MSX2 game from 1987. MSX2 was a failed console that competed with NES. If you knew that, wear your indie hat with pride. If not, rest assured, cuz I didn’t know that either until I Googled it. That many of the features I labeled “unoriginal” and “hackneyed” started with Thief to begin with. Loss of visibility in the darkness? Thief started it. Pick pocketing? Thief Started it. Shooting a light source to create darkness? Picking lock mini game? All Thief’s original idea. Splinter Cell didn’t start with these things; Ubisoft just adapted them to their own game. For it’s name, the Thief series is a standup original game that is only affect by age and not much else. So yeah; if you are a fan of the Thief series as a whole and have followed it since it’s inception or soon after, there is something for you hear. Playing the game and seeing how Thief: the Dark Project plays, it’s obvious that they took almost all the mechanics from that game which works and gave the rest of the game a much needed upgrade. Fanboys, rejoice! Now that I gave you something to chew on that didn’t leave a bad taste in your mouth, let’s address the issues that will no doubt affect those of you who, like me, didn’t play Thief since the beginning. Here is the Bad. I am feverishly entrenched to the idea that video games are not only comparable to but must exceed the standard of blockbuster movies in terms of narrative and presentation. When they don’t, they prove to all the idiot pundits who ostracize our medium that not only are they right, but they are better for being right. That is why game devs need to stress the quality of their games more then anything, and stop using stuff that was only revolutionary in the 90s. Okay, stepping off of my soapbox for a minute, I can safely say that Thief is a victim of its age. 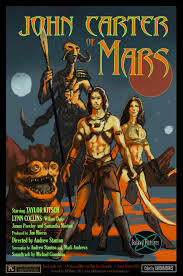 To go back to the movie analogy, I would compare the game Thief to the recent live action Disney movie John Carter. For those of you unfamiliar, it was originally a pulp novel about an astronaut who went to mars and saved the planet due to being immortal, plus stronger and faster due to low gravity. Superman 0.1, basically. It was because of this that the long awaited movie adaptation didn’t do so well at the box office. Even though John Carter was the original Superman, Superman and others like him have been repeated through the Hollywood business so many times that the original no longer outshines the competition. They say imitation is the best sort of flattery, but it sure doesn’t make you stand out. Thief encounters the exact same problem; the traditions it started have been adapted throughout the medium. Splinter Cell took it’s Darkness mechanic, Dishonored had a dark Steampunk vibe, FallOut 3 had the lock-picking mini-game, and knocking people out from behind is almost a universal standard not just for stealth games, but games period. Plus, the only things that come into the Thief game that it didn’t invent decades ago was things like Mirror’s Edge parkour system and Dishonored and Batman: Arkham series’ detector vision. So even when they try to catch up with the modern world, the lack of originality shows. I like the classics as much as any nintendo generation nerd, but game mechanics do not age like fine whine. They grow stagnant like sour milk, and Thief is a walking testament. Now let’s wrap things up here. You might be a little surprise to see a negative word placed in the Summary. But the truth is, where this game failed to tow in the mechanics and systems and gameplay that made Thief a legend to begin with, it makes all the same mistakes all games make when they don’t take risks. Uninspired cutscenes, lame voice acting, juvenile plot, laughably one-sided perspective, wooden character models, and to boot even a poorly choreographed music score. Square Enix wasn’t trying to resurrect the series, they were using the brand name to make another quick buck. Its the kind of thing that makes schlock like Transformers 3 and the new RoboCop movie in the movie business, but it happens all too often in the game business with little to no one batting an eye. Even guys like me didn’t look twice until games like Uncharted 2 showed us what the industry now was capable of in terms of narrative. 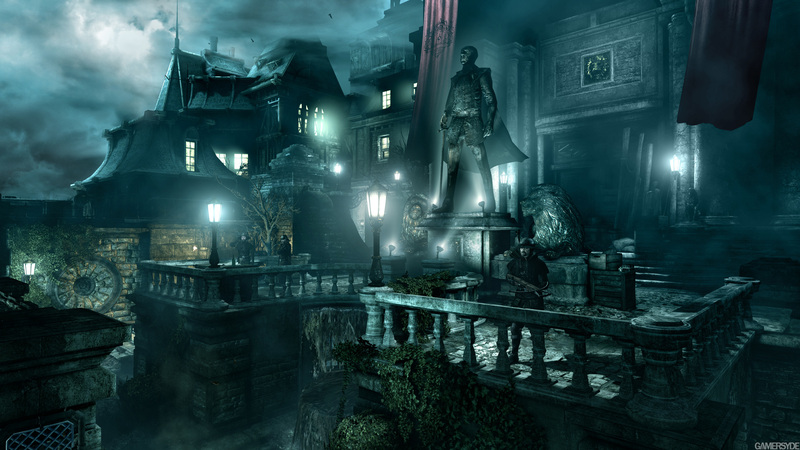 Thief had potential to pick up the slack its outdated mechanics left us with by giving us a fresh look. It’s about as fresh as a rotted corpse with the gloom. While I firmly believe you can teach an old dog new tricks, it seems like our corporate masters in game land didn’t even bother to try. Unless you are a DIE HARD fan of Thief, and want to play a game that hasn’t collected dust in your basement for that fix of Thief’s original greatness, this might be worth at least renting. To anyone who wants to see what video games are capable of being, I recommend Bioshock:Infinite instead. Way better everything, plus its cheaper since it came out a while ago.